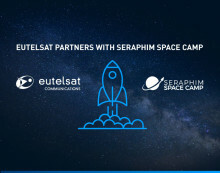 Eutelsat Communications (Euronext Paris: ETL) is set to become a partner of Seraphim Space Camp, the UK's first accelerator for space technology start-ups. Launched by Seraphim Capital, the world’s leading SpaceTech venture fund, Seraphim Space Camp was created a year ago in London. Eutelsat Communications announces the appointment of Julie Burguburu as Company Secretary of the Group and a member of the Executive Committee, effective tomorrow. Julie will oversee Eutelsat's legal, compliance, regulatory and governance issues by heading the company's teams in charge of these functions. 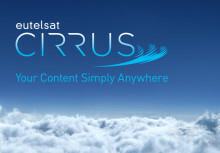 ​Hybrid satellite-OTT solution Eutelsat CIRRUS enables delivery of Telearabia PRO; an engaging platform of sought-after Arabic TV channels Dubai, Paris, 12 March, 2019 – Eutelsat Communications has secured the first customer for its recently launched Eutelsat CIRRUS delivery solution, with rapidly-growing video distributor, Mondo Globo/MCNC. Eutelsat Communications (Euronext Paris: ETL) and Afghanistan Broadcasting System (ABS) have signed a multi-year, multi-transponder contract for video capacity on the EUTELSAT 53A satellite. The winners of the 8th edition of the DStv Eutelsat Star Awards were announced today during a ceremony held in Accra, Ghana. Eighteen-year-old Tanaka Chonyera has put Botswana on the map by scooping top honours in the essay category. Nineteen-year-old Priscilla Marealle was announced as the overall winner in the poster category, making it a back-to-back win from Tanzania. 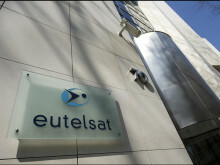 Eutelsat Communications (Euronext Paris: ETL) has signed simultaneous multi-year contracts with the Ethiopian Broadcasting Corporation and the Association of Ethiopian Broadcasters for video capacity on its EUTELSAT 8 West B satellite. The aggregate of these contracts represents multi-transponder capacity, including incremental resources. Ghana to host the 8th edition of the DStv Eutelsat Star Awards! 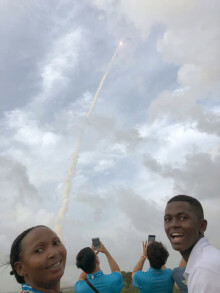 ESA astronaut Paolo Nespoli returns for the 5th time as Jury Chairman Ghana is gearing up to host the DStv Eutelsat Star Awards for the second time since the competition’s inception in 2011. Known as the country at the centre of the world, Ghana was also the first country to produce an overall poster winner during the inaugural DStv Eutelsat Star Awards. 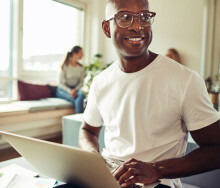 Konnect Africa, an initiative of the satellite operator Eutelsat (Euronext: ETL) dedicated to satellite broadband on the African continent, today announces the launch of its Internet access offers in Côte d'Ivoire.